The very first thing I ever wrote was a story about a penguin swimming away from a killer seal in first grade. It was mandatory. I did write stories all throughout my childhood, but I never thought anything of it. 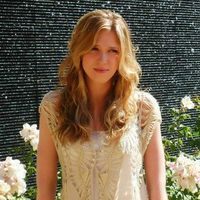 It never even crossed my mind to write “professionally” until I was blabbering on and on about the characters in my head to a friend of mine when I was sixteen, and she said, “You know, you could write a whole book about that.” And then I was obsessed. I know I should say my kobo, but it’s my iPod. If I couldn’t listen to whatever song I wanted whenever I wanted, I’d probably have a panic attack. If you mean a character: Jane Eyre. If you mean a writer: J.K. Rowling. I’d say every one of my main characters has one of my personality traits; I find this helps me empathize with them more, and feel closer to them. I also put very specific quirks of people I know into my characters, both for fun, and because I find them endearing. The wonderful Robin Ludwig of Robin Ludwig Designs, Inc. If you could meet anyone and spend an hour with them – dead or alive – who and why? Shakespeare, just to prove that he WAS a real guy! Brave. Loyal. Unaware. Tough. Stubborn. Impatient. Ghostly (ha-ha if you’ve read it). Complex. Self-deprecating. Violent. Courageous. Magical. Could you share a teaser of The Keeper’s Curse with our readers? This would be really hard work for me because it’s out of my range of knowledge, but I’d like to try science fiction, and from a boy’s perspective. Something like Ender’s Game – but don’t expect THAT anytime soon! Actual book or eReader? Actual books! Long Sleeves or Short Sleeves? I live in Canada, man – long sleeves. Action movies or Chick flicks? A conglomeration of the two. 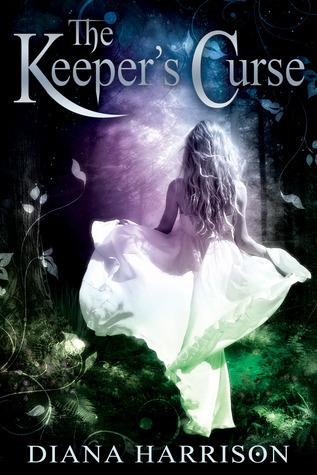 Her debut novel, THE KEEPER’S CURSE, releases in November 2012. I usually don't read interviews, but this one was very engaging. I love the idea of a penguin and a serial killer in the same story and I love the cover designed by Robin! It is awesome!